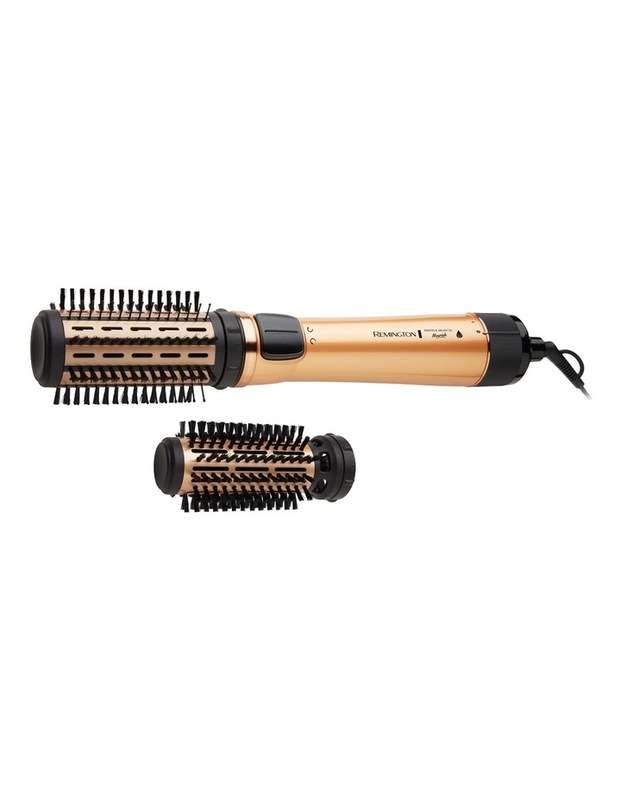 Style your hair with the Keratin & Argan Oil Nourish Rotating Air Styler a styling tool that acts as a hair dryer and brush in one, to give you that salon blow-dried look without the need to use a hair dryer and round brush. - Advanced Ceramic coated barrels infused with Keratin & Argan Oil nourish your hair as you brush for strong, healthy, shiny hair. - Smooth Conditioning Technology reduces frizz to achieve an ultra smooth finish.